There’s more disappointment afoot for fans of Audi concept cars. After previous admissions that Ingolstadt wouldn’t build the R8 V12 TDi or an electric successor to the A2, CAR can now reveal that a production version of the Quattro concept first seen at the 2012 Paris motor show has also been canned. However, a high performance Quattro-inspired coupe could still see the light of day, in the form of a Range Rover Evoque-style crossover, CAR understands. 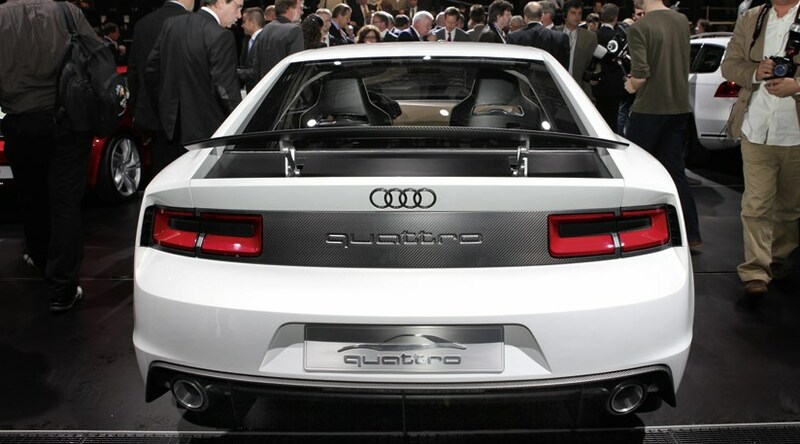 Why has Audi killed off a production version of the Quattro Concept? Seems odd, doesn’t it? So much of Audi’s brand value is built around the Quattro myth and mystique, thanks to the reverence in which the first all-wheel drive rally champion is held. A Sport Quattro-inspired limited edition with an RS5 engine would surely have been a no-brainer? Sadly not – the market for ‘conventional’ performance cars is just too stale, Ingolstadt's researchers have concluded. We’ve been spoiled by too many niches, it seems. So, the next Audi Quattro will be a high-riding crossover? CAR’s sources hear that Audi is considering a ‘Q-coupe’ to shift the Quattro into the crossover space, although nothing as tall as a normal Q5 or BMW X3. Instead, the ‘Q-coupe’ will be more rakish and sporting, somewhat in the mould of the Range Rover Evoque or Audi Steppenwolf concept from 2001. The stance is said to hint at the original S1 Quattro rally car, so expect a squared-off wheelbase and butch wheelarch shapes. Audi showed a thinly veiled Q2 concept at the 2012 Paris show last week, dubbed ‘Crosslane Concept’, and CAR hears the Q2 will form the basis for the new ‘Q-coupe’. A new Quattro deserves a five-cylinder turbo motor, and the ‘Q-coupe’ will likely get Audi’s very latest EA555 unit, coupled to a low-friction all-wheel drive system via a seven-speed dual-clutch S-tronic transmission. Audi has the choice of basing the car on the architecture of the next A5, or recycling the Volkswagen Group’s new MQB platform, which already sees duty in the new Mk7 Golf and Audi A3. The MQB gubbins will sit at the heart of the upcoming third-gen Audi TT, which will boast up to 381bhp in its hottest guises. The current TT RS Plus flagship is good for 355bhp from its turbo five-pot. Where would the Audi ‘Q-coupe’ sit in Audi’s model range? With Audi's mooted mid-engined sports car killed off, the marque has plenty of room within its range to slot in a hot Quattro crossover between RS-badged TTs and the entry-level R8 supercar. However, Porsche are still pursuing the project, as CAR reported in our June 2012 issue. A sub-Boxster '551' roadster is set for launch in 2017, despite Audi and Volkswagen dropping their proposals for similar models: the R5 and Bluesport.